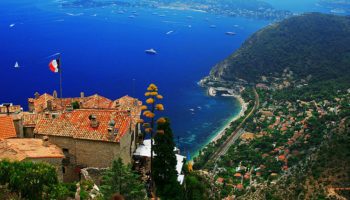 Striking the perfect balance between a seaside resort and a cosmopolitan city, Nice serves as an ideal base for a holiday on the French Riviera. 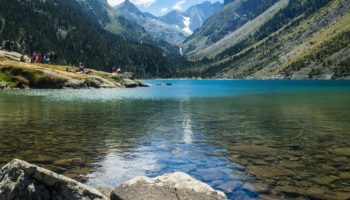 A popular travel destination since the late 18th century, the city boasts a mild Mediterranean climate, a rich culture, a lively Old Town district and a picture-perfect shoreline bordered with grand hotels. 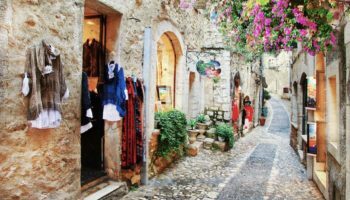 The city’s soft but intense light, charming architecture and colorful marketplaces have long attracted artists, including Matisse and Chagall, and there are more museums in Nice than in any French city save Paris. A still-functioning monastery in Nice’s hilltop suburb of Cimiez, the Monastère de Cimiez was founded in the 9th century by Benedictine monks. 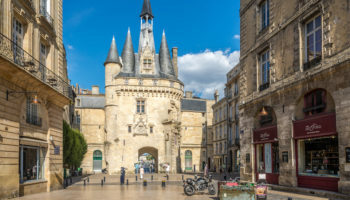 Located near a cluster of Roman ruins and the Musée Matisse is an ancient church and museum that features art and documents from the 15th to 18th centuries, including three works painted by the Bréa brothers in the 1400s. 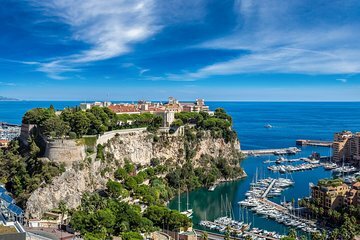 Offering panoramic views of Nice and the Baie des Anges, the monastery also features exquisite gardens and the cemetery where the artist Henri Matisse is buried. The recently opened Promenade du Paillon is a broad parkway that stretches from the Promenade des Anglais to the Théâtre National de Nice. 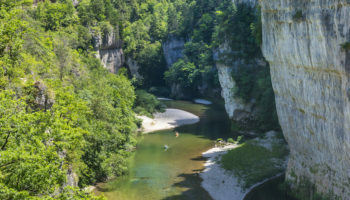 Designed by landscape architect Michel Pena, it follows the path of the Paillon river, which was covered over in the late 19th century. The promenade features children’s playgrounds, greens spaces, gardens and a massive reflecting pool equipped with 128 water jets and fountains that spray water in a random pattern. Located in the hilly suburb of Cimiez on Nice’s northern border, the Musée Marc Chagall houses one of the largest collections of works by the modernist Russian-French artist. Created during Chagall’s lifetime, the museum was designed to showcase his Message Biblique series of 17 paintings depicting scenes from the Bible. Chagall also created the colorful outdoor mosaic that overlooks the garden pond. More than 800 works by Chagall have been added to the collection since the museum opened in 1973. The Cathédrale Orthodoxe Russe St-Nicolas is the largest of its kind in Western Europe, and with its ornate façade and blue onion domes topped with the glimmering gold crosses, it’s arguably the most beautiful too. Completed in 1912, the cathedral was built to accommodate the growing number of Russian aristocrats who wintered in Nice. The cathedral’s construction was funded by Czar Nicholas II in memoriam of his heir, Nicholas Alexandrovitch, who died in Nice in 1865. A 17th-century villa in the hills of Cimiez in the north part Nice is home to an expansive collection of works by the French artist Henri Matisse. The artist first came to Nice in 1917 and remained in the city until his death in 1954. He spent his final years living in a building located across from the place that would become the Musée Matisse. Opened in 1963, the museum houses hundreds of paintings, gouaches, drawings, prints and sculptures made by the French master, and features a large collection of personal items that belonged to Matisse as well. The cultural center of Nice, the Place Masséna is the city’s largest square and the main gathering place for community events and seasonal festivals. Surrounded by 17th-century architecture, it links the Old Town quarter with the city’s commercial district. After rebuilding a tramway transportation system, the square was designated a pedestrian-only zone, and an art installation by Spanish artist Jaume Plensa was installed. The piece consists of sculptures atop tall pillars scattered around the plaza. A large fountain featuring a statue of Apollo stands as the centerpiece of the square. Little remains of the medieval fortress that once guarded Nice’s Vieux Ville from high atop a rocky hill, but the place where the Colline du Château stood still attracts visitors. Now a scenic park, Castle Hill offers spectacular views of the Old Town and shoreline below. 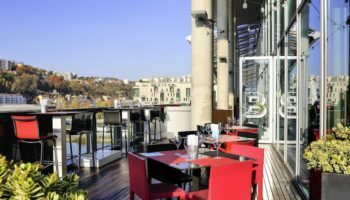 Travelers can climb the 213 steps to the hill’s summit or can shorten the trek by taking the elevator located near the Hotel Suisse. In addition to crumbling castle walls, there’s a waterfall, several cafés, a children’s play area and a cemetery worth exploring. A broad promenade situated in Nice’s Old Town, the Cours Saleya is the site of the city’s famous open-air markets. Once a park for Nice’s upper classes, it’s shaded by trees and surrounded with 18th-century mansions, many of which are now home to pubs and restaurants serving Niçois cuisine. Sellers hawk fresh flowers and produce here every morning, Tuesday through Sunday. Antiques and collectibles are sold at the east end of Cours Saleya on Monday mornings. Nearby is the yellow stone building where Matisse lived and painted from 1921 to 1938. Also known as Vieux Ville, Nice’s Old Town stretches from the foot of Castle Hill to the Place Masséna, the city’s main square. 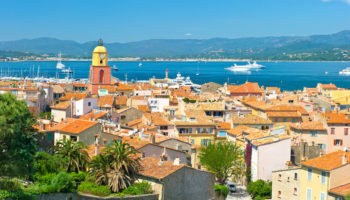 A maze of narrow streets punctuated with broad promenades, the medieval quarter evokes the time in history when Nice was allied with independent Italian states. Streets are lined with structures adorned with Italianate façades, faded gold paint and red-tile roofs. 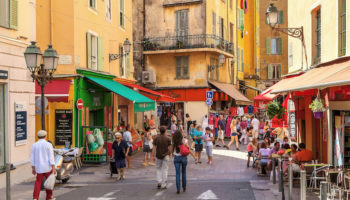 While many of the buildings now house shops and eateries that cater to tourists, Vieux Nice remains home to locals too. It’s one of the best areas to sample the region’s pastries and Niçois-style pizzas. The seaside boardwalk that runs along the Baie des Anges owes its existence to the British tourists who first popularized Nice as a holiday destination in the early 18th century. When hard economic times brought an influx of people to Nice searching for work, some of the wealthy Englishmen proposed paying them to create a walkway along the rocky beach. Today, it’s one of the most famous seaside promenades on the Mediterranean, lined with palm trees, beach cabanas, chic cafés and luxury hotels. 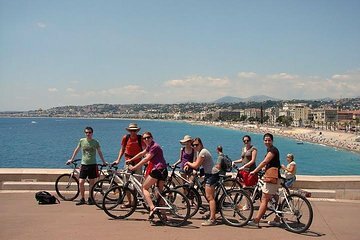 The most well known attraction in Nice, strolling along the Promenade des Anglais is a quintessential Riviera experience not to be missed.